… the October 26, 2014, New York Times story Pied-à-Neighborhood states “In a three-block stretch of Midtown, from East 56th Street to East 59th Street, between Fifth Avenue and Park Avenue, 57 percent, or 285 of 496 apartments, including co-ops and condos, are vacant at least 10 months a year. From East 59th Street to East 63rd Street, 628 of 1,261 homes, or almost 50 percent, are vacant the majority of the time, according to data from the Census Bureau’s 2012 American Community Survey.” The story reviews use of these data and draws conclusions about homeowner vacancy based on these data. Read the story to get the complete picture. There are a few issues here that may be worth considering. These issues generalize to other situations involving interpretation of vacancy rates; issues at the core of using decision-making information. The homeowner vacancy rate is the proportion of the homeowner housing inventory which is vacant for sale. It is computed by dividing the number of vacant units for sale only by the sum of owner-occupied units and vacant units that are for sale only, and then multiplying by 100. 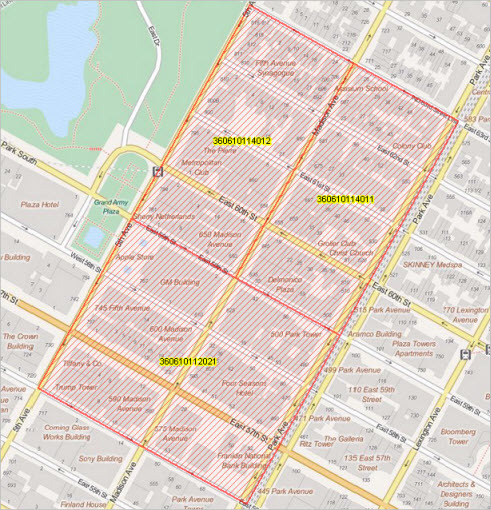 The area “East 56th Street to East 59th Street” between “between Fifth Avenue and Park Avenue” is also Census 2010 block group 360610112021. 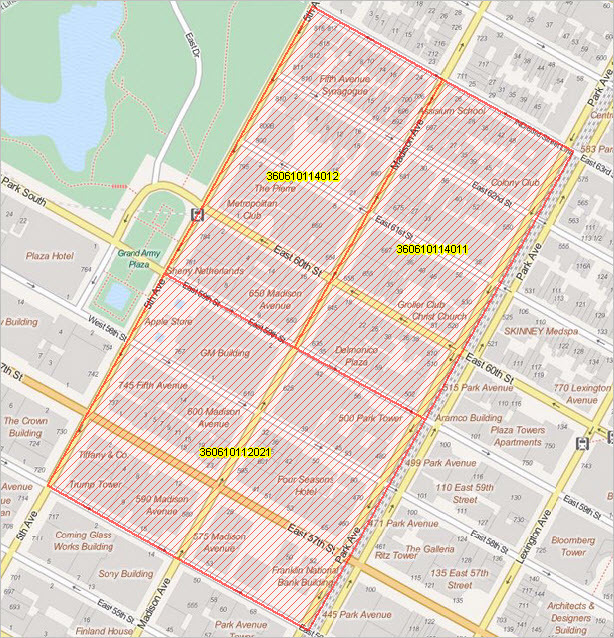 The area “East 59th Street to East 63rd Street” between “between Fifth Avenue and Park Avenue” is also Census 2010 block group 360610114011 and block group 360610114012. 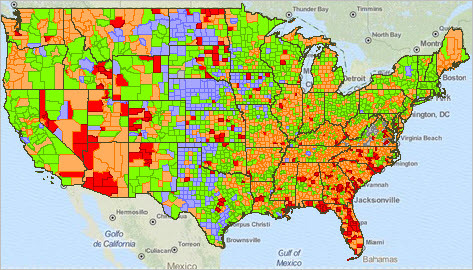 These three contiguous block groups are shown in the map graphic below — highlighted with red hatch pattern. Click graphic for larger view. View created using CV XE GIS. 1. Time dimension — the 2012 American Community Survey 5-year estimates (ACS 2012) are estimates centric to 2010, not 2012, and thus 4 years old. Some respondents responded as long ago as 2008. The statistical program reference/title is 2012, but the estimates are not. 2. Estimate Margin of Error — the block group level estimates have a relatively high margin of error. The actual values might be higher or lower by a noteworthy margin. 3. 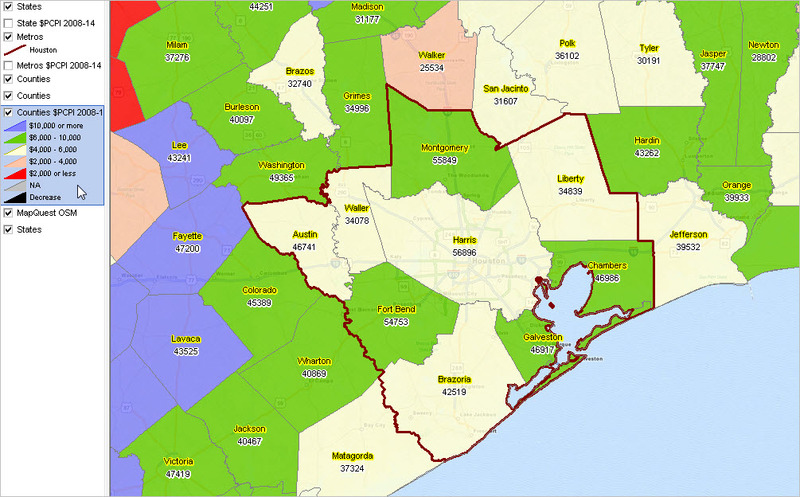 More accurate vacancy rate data from Census 2010? … the Census 2010 vacancy rate data are known to relate to 2010 whereas the ACS 2012 5-year estimates are centric to 2010 but are actually for the survey period from 2008 to 2012. 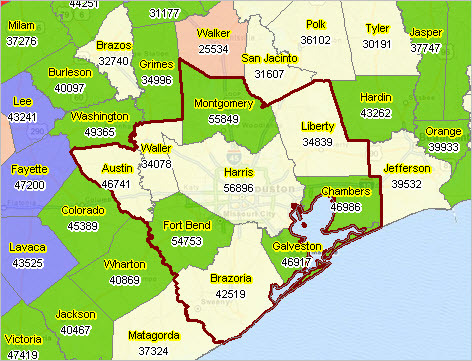 In addition, the Census 2010 data are available at the census block level. Finally, there is no estimation error with the Census 2010 data (since those data are not estimates). All said and done, using Census 2010 might bolster the argument rather than diminishing it. We would need to dive into an examination of the numbers to find out more.